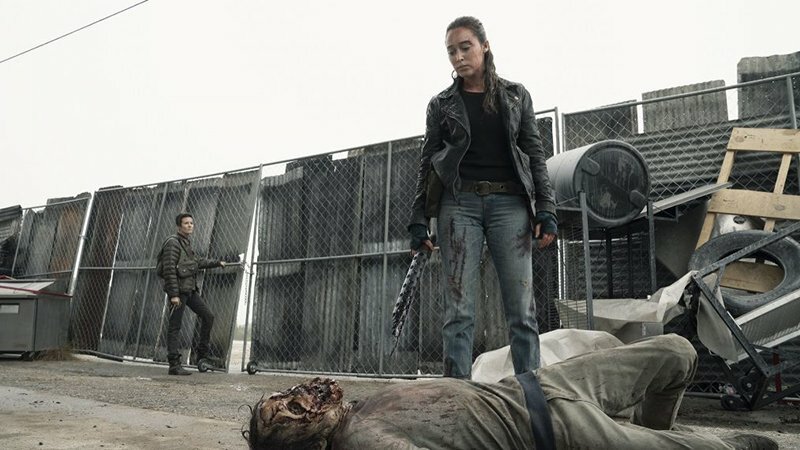 AMC has released new Fear the Walking Dead Season 5 premiere photos, featuring familiar faces and a couple of new characters joining the gory fun. Check out the photos now in the gallery below and catch the premiere on Sunday, June 2! The group’s mission is clear: locate survivors and help make what’s left of the world a slightly better place. With dogged determination, Morgan Jones (James) leads the group with a philosophy rooted in benevolence, community, and hope. Each character believes that helping others will allow them to make up for the wrongs of their pasts. But trust won’t be easily earned. Their mission of helping others will be put to the ultimate test when our group finds themselves in unchartered territory, one which will force them to face not just their pasts but also their fears. It is only through facing those fears that the group will discover an entirely new way to live, one that will leave them forever changed.